The morning of test day can be quite busy. It’s easy to forget to bring certain items to the testing center, so to avoid this chaos and confusion, try packing a Test Day Bag the night before the test. 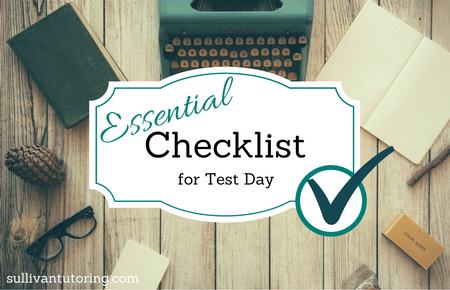 Here, we’ve created a checklist of items that are absolutely essential for test day and items that you should definitely leave at home. These two items are required in order to receive the test. You will not be permitted to take the test at all if you forget your admission ticket and/or photo ID. A driver’s license, school ID, and passport are all acceptable forms of photo IDs so you should make sure to put at least one in your bag the night before the test. Moreover, print out your admission ticket the night before so that you are not rushing to print it the morning of the test– printer problems are even worse when you are on a time crunch! You are not allowed to use the calculator on your phone, so be sure that you pack a graphing or scientific calculator in your bag. We also suggest that you pack extra batteries for your calculator in case its current batteries die midway through the test. Make sure to pack at least 5 sharpened #2 pencils. Stay away from mechanical/retractable pencils. You can also bring a hand-held pencil sharpener with you so that you don’t have to get out of your seat to use the noisy, electric sharpener. Bringing a watch with you to the test is a great idea because it will allow you to more conveniently keep track of your timing and pace on each test section. Most classrooms will have a clock hanging on the wall, but there is a chance that it will be hanging in a place that may not be easily seen from your seat. Instead of craning your neck, or continuously looking away from your test, wear an easy-to-read watch on test day. Snacks and a water bottle. The SAT and ACT are long tests, each lasting around 4 hours. This is a long time to go without eating. Be sure to pack a healthy and simple snack to eat during one of the designated breaks. Bring something that isn’t messy– chips and guac are not a good idea– and something that isn’t loaded with sugar, or else you might “crash” halfway through the test. Since a healthy snack will keep your blood sugar balanced, you will have an easier time staying focused and energized. Water will keep you hydrated and alert as well. Side note: Make sure to eat a balanced breakfast the morning of the test, even if you don’t typically eat breakfast. Try to eat a breakfast consisting of protein (eggs, yogurt, peanut butter, etc.) and complex carbs (whole-grain cereal, toast, or oatmeal). The protein helps keep you from getting too hungry during the test, while the complex carbs will give you energy. You certainly are not allowed to text, Snapchat, or watch Netflix during the test. Though they may be tough to part from, your electronics should be left at home. Dictionaries and reference books are not allowed, but you really will not need a dictionary for the test anyway. 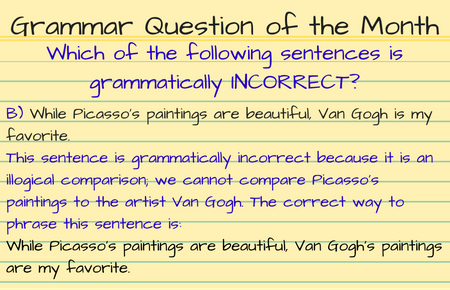 Though there may be some tricky vocabulary in some of the reading passages, you should be able to use context clues to determine what these words mean. Again, these items are not allowed, but you will not need them anyway. On math questions regarding angles or measurements, you should use formulas to determine the answers. Though many students prefer using scrap paper, pens and highlighters, these items are not allowed on the test. Fortunately, you can do all of your figuring, note taking, underlining, etc. in the test booklet. Alarms are banned for obvious reasons, but make sure that any watch that you bring does not “beep” and cause distraction. Not signed up for our monthly newsletter? Text SULLIVAN to 42828 to start receiving Sullivan Scoop, which is full of original articles, testing tips, industry news and important dates.